The collection management team works at the museum each Thursday from 10am. Volunteer helpers and visitors are welcome. Image: Kandos Museum has been run by volunteers from the local community since it first opened in 1988. 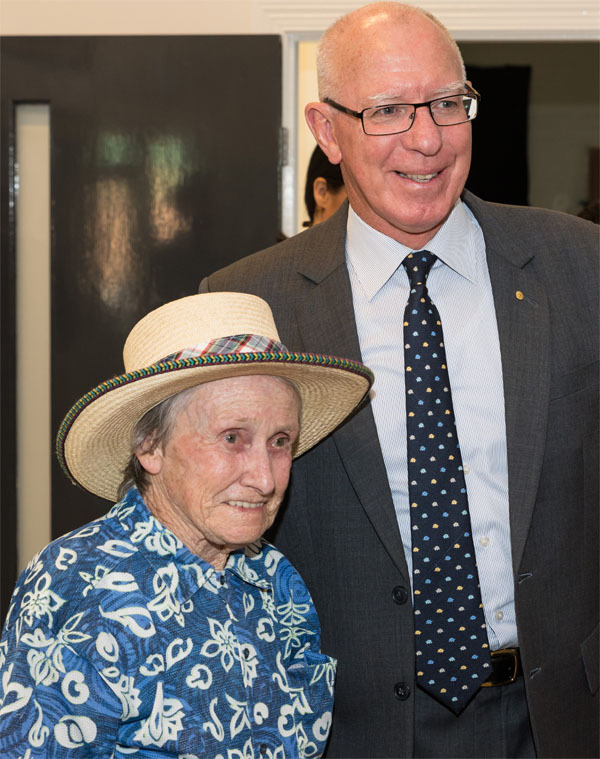 Here long-term volunteer Peg Butler shows the new NSW Governor around. Photo: K Grant.